Based on an Idea by David McCall. Book by SCOTT FERGUSON, GEORGE KEATING and KYLE HALL. Music and Lyrics by LYNN AHRENS, BOB DOROUGH, DAVE FRISHBERG, KATHY MANDRY, GEORGE NEWALL and TOM YOHE. 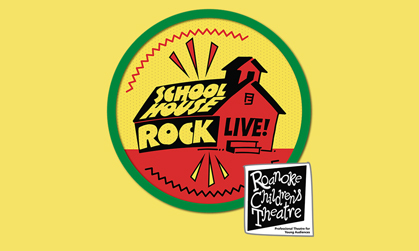 Based on the Emmy Award-winning 1970s’ Saturday morning cartoon series, this pop culture phenomenon that taught topics like history, grammar and math through clever, catchy tunes, comes to the musical stage! Tom, a school teacher nervous about his first day of class, learns from characters that emerge from his television set that he can win over his students with imagination and music, through songs like “I’m Just a Bill,” “Three Is a Magic Number” and “Conjunction Junction.” Features 2015 JMU musical theatre alum and Harrisonburg native Caitlin McAvoy.